The Arena Corinthians or Arena de São Paulo for international fixtures is a multi-purpose sports stadium located in the largest city in Brazil, São Paulo. 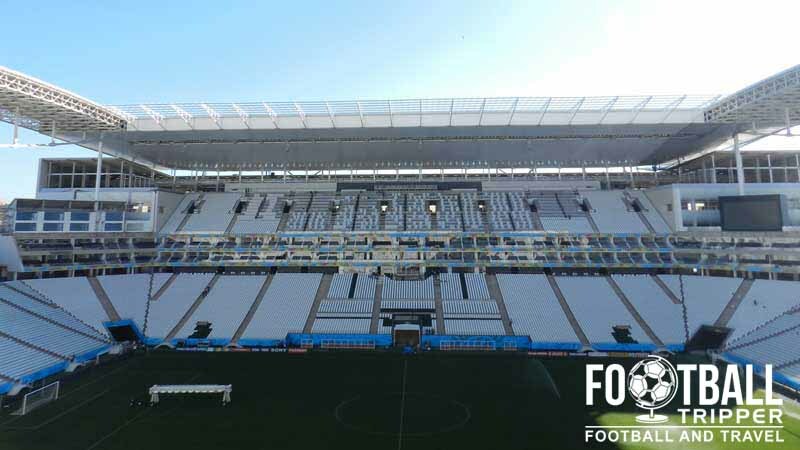 Mostly used for Football matches, the 46,116 capacity ground is the home of local side Sport Club Corinthians Paulista, and hosted 6 games in the 2014 World Cup including the semi-finals between Netherlands and Argentina. 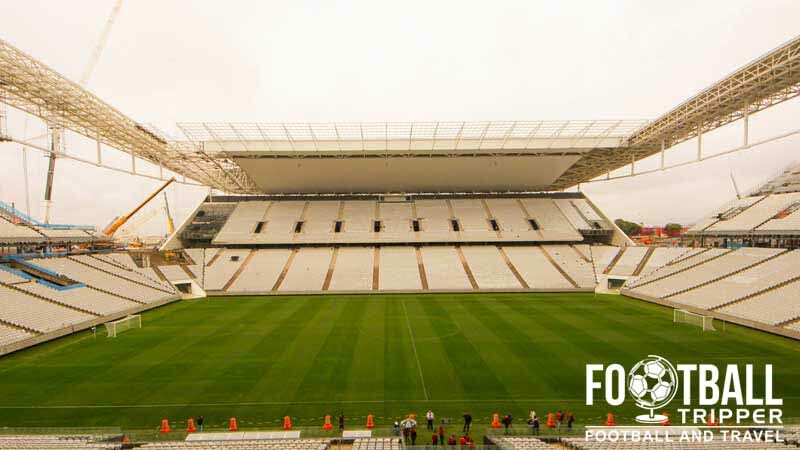 Corinthians had long planned to construct their own purpose-built football stadium since the early 1980s however the club struggled to attain funding for their ambitious 200,000 capacity ground, and persisted with ground sharing the municipally owned Pacaembu Stadium. 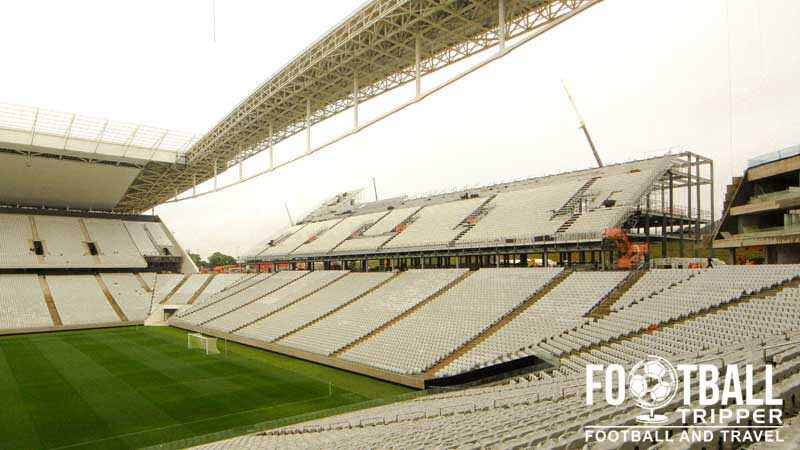 When Brazil were announced as hosts of the 2014 World Cup on 30th October 2007, Corinthian’s project was re-galvanised. With São Paulo expected to be one of the host cities the natural choice to host the football matches was the existing Estádio do Morumbi which had a capacity of 72,000 but the construction of a new stadium was favoured by FIFA after there were failures to guarantee the sources of finance for the older stadium’s renovation. Plans for a new 70,000 capacity venue were finalised and construction began on 30th May 2011 with the project costing an estimated $435 million US dollars. 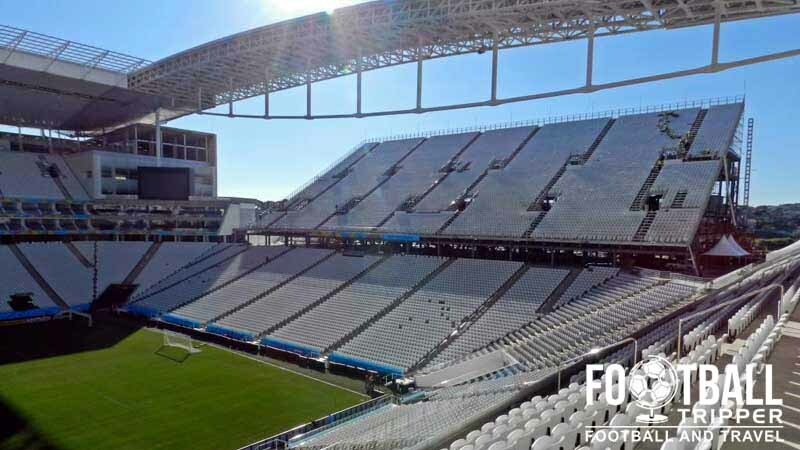 Funding was provided by the government owned Brazilian Development Bank (BNDES) with Corinthians ultimately planning to recoup a large amount of the money back through the sale of the naming rights, estimated to be worth $200 million over 20 years. During the 2014 World Cup Arena Corinthians was officially known as Arena de São Paulo due to FIFA licensing rules about sponsorship names, despite being named after the football club rather than an unrelated company. The stadium hosted the opening ceremony and inaugural match of the tournament between Brazil and Croatia. A further three matches group matches were hosted as well as two knock-out matches featuring finalists Argentina. The round of 16 saw La Albiceleste defeat Switzerland 1 nil in extra time, and then the Netherlands 4-2 on penalties in the semi-final which booked their place in the final which was held at The Maracanã. 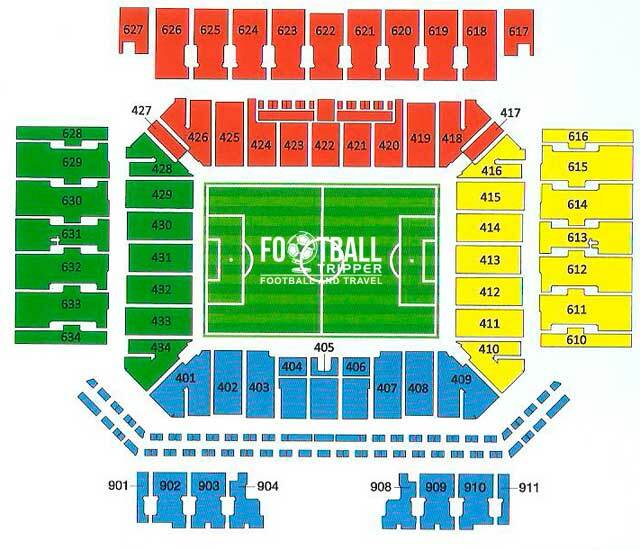 Corinthian’s Arena is comprised of four stands: North, East, South and West.